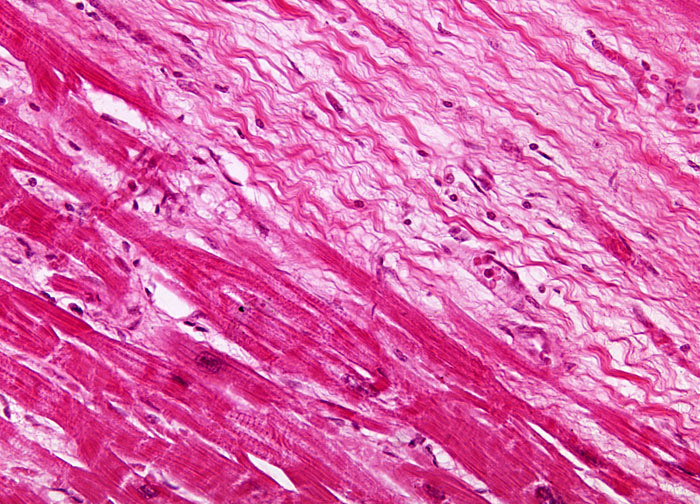 Myocardial infarction is the necrosis of a section of heart muscle tissue, most commonly from coronary occlusion. Often referred to as a heart attack, myocardial infarction occurs suddenly, but is usually the result of long-term conditions. Typically the coronary arteries are thickened with cholesterol plaques over the course of many years, increasingly narrowing the lumenal space. The rupture of a plaque can result in the formation of a blood clot, which causes complete occlusion of the arterial lumen if it grows too large, blocking the flow of blood and the oxygen it contains to the heart. Scientist have not yet determined exactly what causes plaques to rupture, but a number of risk factors for myocardial infarction have been identified, including diabetes, smoking, inactivity, being overweight, high LDL and low HDL cholesterol levels, high blood pressure, and increased adrenaline.